Motorola has launched the Moto G Turbo Edition smartphone in India. A bumped-up variant of the Moto G 3rd-gen, the new model is IP67 certified as well, which allows it to be submerged in up to a metre of water for 30 minutes. The Moto G Turbo Edition offers improved specs compared to its sibling, theMoto G 3rd-gen. The Turbo sports a 5-inch HD display with a layer of Corning Gorilla Glass 3, and runs Android 5.1.1 Lollipop. The phone is fuelled by a 64-bit 1.5GHz octa-core Qualcomm Snapdragon 615 processor, aided by 2GB of RAM and an Adreno 405 GPU. The dual-SIM device comes with 16GB of expandable storage, a 13MP rear snapper with an LED flash, a 5MP front camera, 4G LTE, and a 2,470mAh battery. A TurboPower charger is bundled, and gives the phone six hours worth usage time after just 15 minutes of charging. 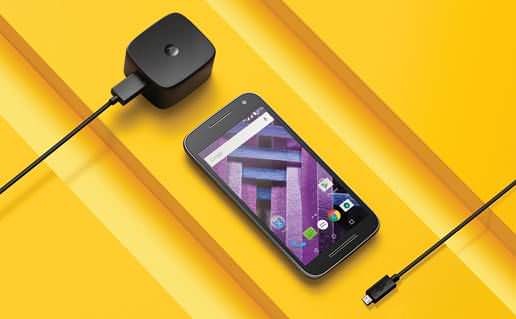 The Moto G Turbo Edition has been priced at Rs 14,499, and will be available on Flipkart starting 12 pm today. The phone comes in two variants – Black with Deep Sea Blue back and White with Slate back. Its launch offers include 100 percent cashback for 100 lucky customers, old smartphone exchange scheme for up to Rs 6,000 discount, and double data offer from Airtel.